“Caaarrryyy Meeeeee!” How to handle a clingy kid. My 2-year-old turned into a 35-pound leech. Every waking moment he demanded that I hold him in my arms—standing, never sitting, as if my love weren’t real unless my biceps were burning. When I would run downstairs to get him a glass of milk or grab my iPhone, he would insist on being ferried along on my hip. Awesomely, my husband wasn’t allowed to help. I was apparently the only person on earth who could read to my son, sing to him, change his diaper, give him a bath, make his dinner, hand him his water, and strap him into his car seat. I’m not going to tell you what it’s been like dropping him off at school, because I’m trying to block out the memories. Moving may mean your toddler’s usual nap time changes while you transition homes. Some children may even seem to “give up” nap altogether (even if they still need one). 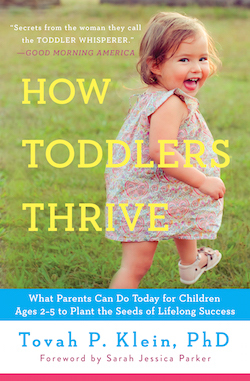 “I firmly believe there is nothing harder than a child that is sleep-deprived,” says Tovah P. Klein. Your 20-month-old whacks another child on the head with a plastic shovel and grabs the pail out of his hands. Or your 2-year-old watches as you deposit two scoopfuls of ice cream into his small plastic bowl, then two equal-size scoops into a larger bowl for his sister. He wails, “I didn’t get as much!” What do you do and why did this happen?